The youngest member of the Irish Track Cycling Team is Josie Knight, who has a junior rider has exploded onto the international scene, winning a silver medal in the Individual Pursuit at the European Championships, as a first year junior. 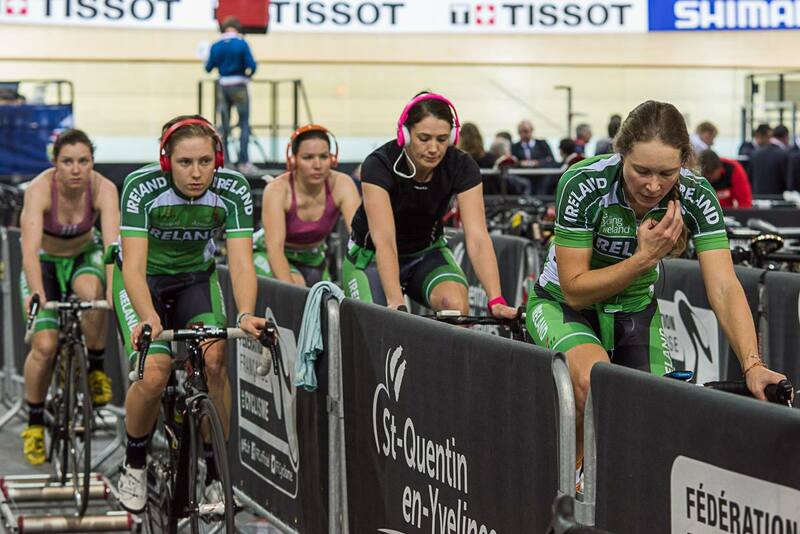 Less than a year on and she is representing the Ireland in the Senior Track Cycling World Championships, as part of the Women’s Team Pursuit. The Dingle rider has been based in Majorca with the Irish team for much of the track season, and has raced in two World Cups; London and Cali. How did you get involved with cycling? Had you been involved with other sports before cycling? Yes, I’d done every sport possible in school… GAA, Basketball, cross country running even tried camogie but was never really any good at any of them! Who has been your biggest influence, and why? What is your favourite cycling session? And this year… What are your season goals? Everyone loves cycling – what do you love most? That’s a tricky question, I love everything about it! But I think the fact that we get to travel the world and meet so many different people is a big thing! This entry was posted in Uncategorized on February 18, 2015 by sportireland.